Jessica and Jacob’s destination St. Pete wedding featured the the urban surroundings of the bride’s hometown city. 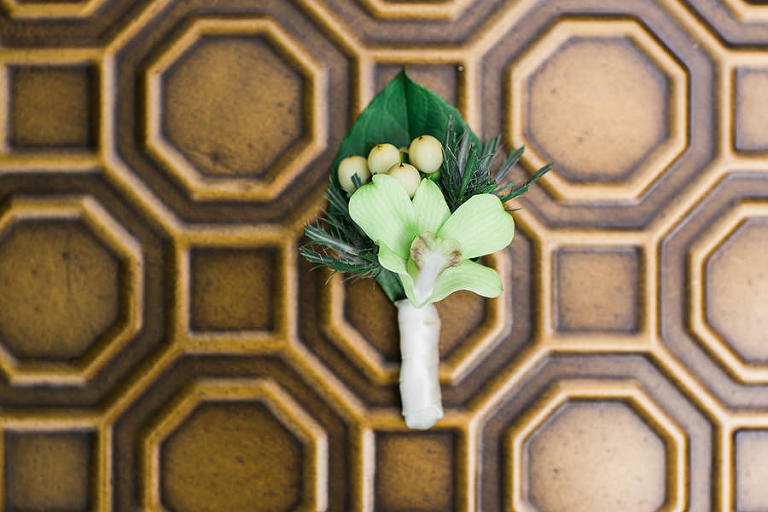 With a penchant for architecture and design, the couple chose downtown St. Pete wedding venue NOVA 535. 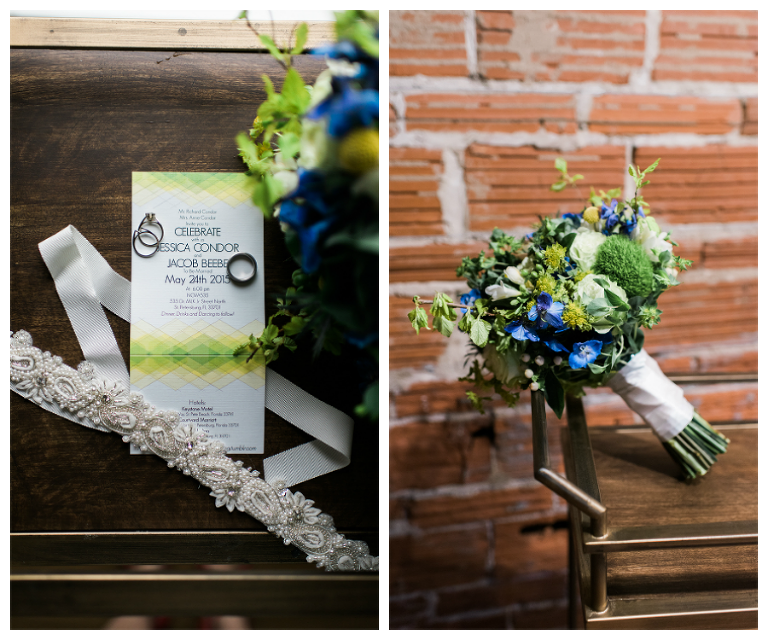 The Oklahoma couple focused their St. Pete wedding on creating a memorable guest experience. Looking back, one of Jessica’s most cherished memories came during the wedding reception. 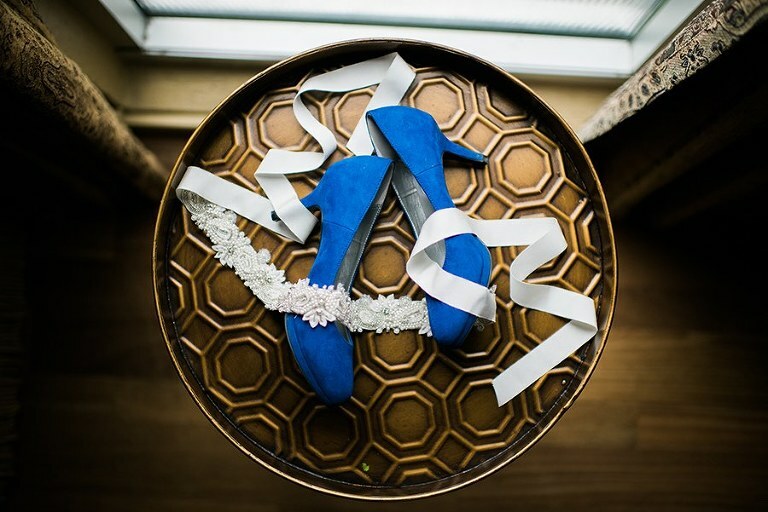 “Our first dance was a memorable moment, mainly because it reminded me of the time we spent together planning and trying to find a song,” the bride reminisced. Although we were in Florida, I was set against having a beach wedding. Both being in the architecture field, we were looking for an urban setting that had an outdoor area for the ceremony and indoor space for the reception. We also looked for large open space for the reception so people could sit and dance all together. This drew us to downtown St. Pete, which allowed us to move to different and diverse locations for pictures. We wanted a space where the building itself could serve as decoration and could help create the backdrop to the event. NOVA 535 was perfect. 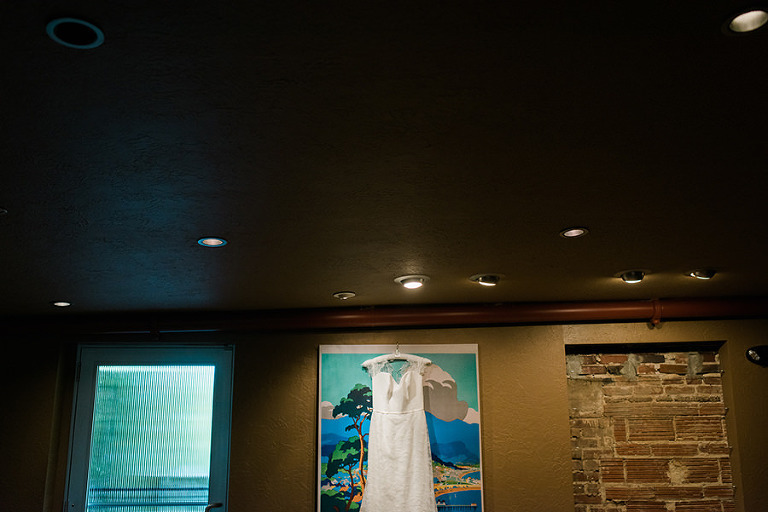 The renovated space with the exposed brick walls and the height of the venue was a big draw. The adjacent courtyard was also a plus because it was private and not a far walk to the reception. With the venue having a lot of character already built in, we built upon and took cues from what was there to create our own unique setting for our event. It was also great that there was catering and dressing rooms for us to use. The service at NOVA was great. They made sure we understood all that was going to happen and helped us make last minute changes because of the weather. Their list of vendors also gave us a great starting point. Jacob was living in Oklahoma City, and I was in St. Louis. It was just after Christmas and Jacob was visiting me in Missouri before helping me move to Oklahoma. We were spending the day going to places around the city that we hadn’t been to yet, as well as a few of our favorite places. We started at one of our favorite brunch spots and from there we went to the Chain of Rocks Bridge, which is part of Route 66. While we were walking across the bridge, we kept putting the camera in spots to take pictures. We went to pose for a picture, Jacob proposed and we caught it all on film with continuous shooting! I wouldn’t say we had a theme but more so combined the venue, the time of the year (spring), all guided by a clean, simple and natural overall look. We wanted to pick a few pops of color and focus on a few key details. Both being architectural interns, our favorite colors are blacks, whites and greys, but those aren’t naturally found in flowers. We started with the venue and its context. We took the green from the bamboo in the courtyard, the blue was chosen to complement the green and we happened to find the wedding party dresses in blue. The yellow was added for a pop of color. The flowers greatly drove the colors as well, leaning towards succulents, cabbages and flowers that were common for spring. Choose the aspects of the wedding that are most important to you. Once you create a list of priorities then you must be open to compromise. The hardest thing I found during wedding planning is balancing the things you want against the budget. It’s a few good details that impress the most. It doesn’t cost much but people see the effort and thought that you put into them. Don’t stress out, although I told myself this, I didn’t listen very well. There will always be something that stresses you out, but have someone that you trust to help you see other options or solutions. I stressed out a lot about choosing between the final two venues. I got caught up on the other venue and wouldn’t let myself see that it just wasn’t set up for my event and guest numbers. It was my mom who helped me talk through the pros and cons, and in the end NOVA 535 turned out to be the perfect venue all around.